Will and Sara are from Clemson and Liberty South Carolina, respectively. 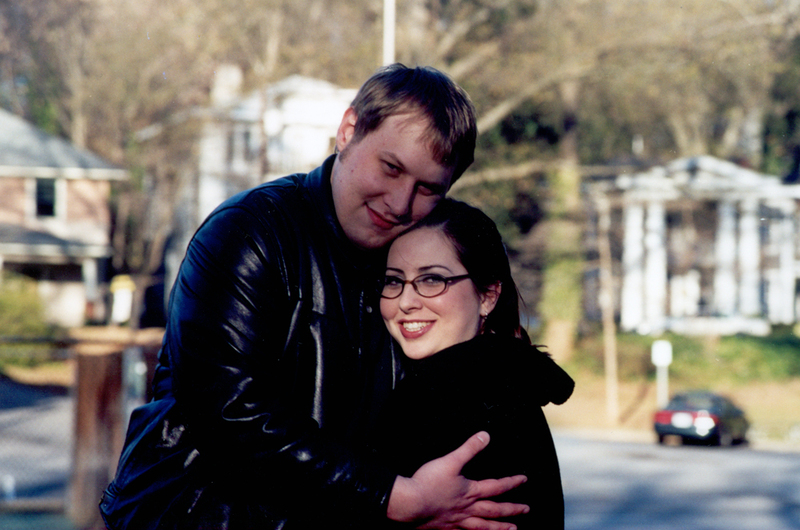 We met at Clemson University through WSBF 88.1 FM, the university radio station. We were married in January, 2001 and have been together ever since. Right now we’re living in the San Francisco, CA / Bay Area (Silicon Valley). Will is an IP Network Engineer at Facebook. In his personal time he bikes (especially on the Bay Trail), plays music, enjoys art, music, and film, and is learning to program. Sara is an Engineering Project Manager at Google. In her personal time she is pursuing a degree, aspiring to bike as much as her husband, and enjoys art, music, and film.